Budapest is the capital of Hungary. The city has been a famous destination for a long time and has attracted visitors for thousands of years. 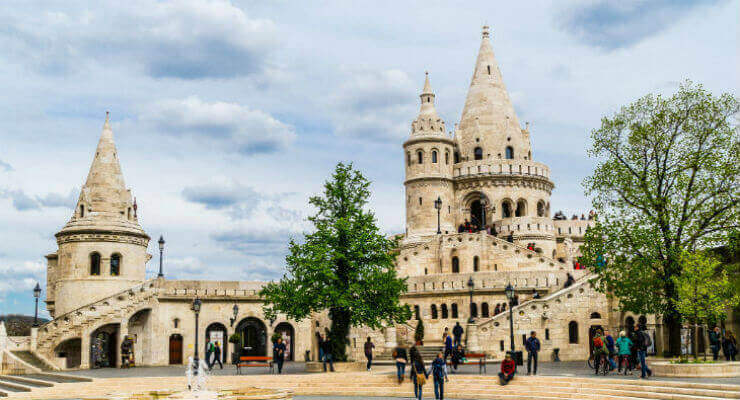 Budapest today has grown and become both a center of fashion and culture, as well as a city where you’ll find lots of things to do and many beautiful attractions to visit. It’s almost like there are “too many” things to do in Budapest, at least if you’re just visiting for a few days. Fortunately, it’s very easy to get around in Budapest and even if you’re only in town for the weekend, it’s easy to make the most out of it. 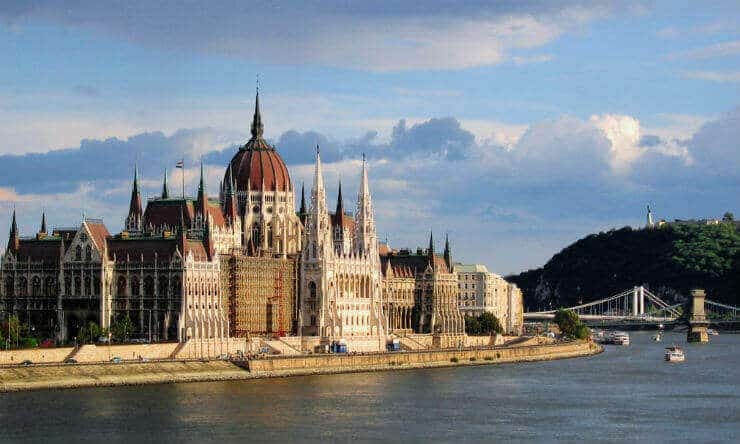 To make things a little more convenient for people travelling to Budapest, I’ve put together a list with all of my favourite things to do in Budapest. One of the world’s most photographed place in the world, and one of the most iconic buildings in all of Hungary. It’s situated right next to the riverside and the view from the other side is quite a majestic one. The best place to get a view over the parliament, is from the fisherman’s bastion on the Buda side. If you’re interested in what’s inside and want to see some beautiful interior and exterior architecture, there are guided tours offered every day. This masterpiece of architecture is one of the most important church buildings and one of the most significant tourist attractions in Hungary. It’s a Roman Catholic basilica in Budapest, which is named in honour of Stephen (Szent István), the first King of Hungary. It tends to be quite crowded during daytime, so if you want it for yourself or at least a lot less people, then come early in the morning. There are plenty of spas and thermal baths around Hungary, and Budapest is no exception. It has long been known as the world’s spa capital or “the city of spas”. Visitors have come to heal their souls and well-being for thousands of years, and they still do. Therefore, one couldn’t possibly claim to have experienced Hungary without visiting at least one of the many spas and thermal baths available. Some of my favourites in Budapest are: Szechenyi bath, Gellert bath, Kiraly bath and Rudas bath. The Buda Castle is one of Hungary’s most famous landmarks together with the Hungarian Parliament. It’s a beautiful castle with great architecture, which is also a Unesco world heritage site since 1987. After exploring the castle and the surrounding areas, make sure you don’t miss out to try your bow skills at the archery range. Margaret Island is located in the middle of the Danube river in central Budapest. In the summer you’ll find lots of activities here including music concerts and festivals. Margitsziget is a very popular spot amongst the younger crowd of Budapest. In the Great Market Hall everything is sold from Hungarian sausages and specialties to local craft and knick-knacks. If you get hungry or thirsty there are plenty of food stalls that serves traditional Hungarian meals and drinks. Central Market Hall is popular among both tourists and locals. The atmosphere is cozy and charming. To visit this ancient market hall is a must to do in Budapest! Shopaholic’s please look away if you don’t want to get your shopaholic nerves all tingled up. Budapest offers a vast amount of shopping with everything from high-end luxury to cheap local designer clothes and everything in-between. Andrassy avenue is the place to be if you’re looking for some higher end shopping like Louis Vuitton, Gucci, Burberry, Cartier and so on, all of the major brands are represented at this famous boulevard. If you’re looking for more casual clothing like ZARA, H & M and others it’s best to visit Vaci Utca or go to one of the many shopping centers around town. WestEnd is one of the biggest shopping centers in Europe, but there are also other big centers like Arkád and Arena Plaza. The architecture of Mattias Church and the Fisherman’s Bastion is almost like a fairy tale. When I was there I couldn’t help to think about the elvish world in The Lord Of The Rings movies. These two places are definitely something to write down on your list with “things to do in Budapest”. It’s two separate buildings, but they are located right next to each other. It’s also from here you’ll get a fabulous view over the Hungarian Parliament. You may not know that Hungary produces some really good wines, but it’s true, especially in the region of Tokaj. If you like wine and would like to have a great wine tasting experience in Budapest, Faust Wine Cellar is the place to go to! Be aware that you might need to book in advance, since this place tends to get fully booked quickly. 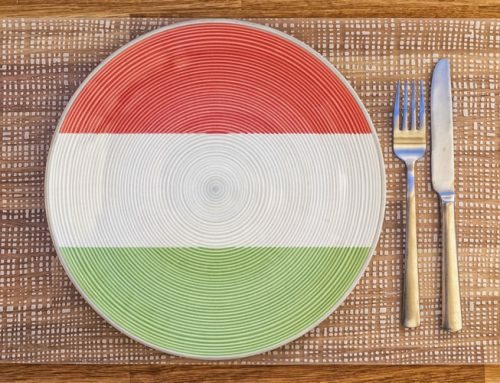 One couldn’t possibly claim to have experienced Hungary without trying the national dish Goulasch, and the national spirit called Pálinka. You may already have tried the Goulasch, but if you haven’t been to Hungary, it’s very doubtful that you’ve tried an authentic one. When it comes to Pálinka, it comes in several different flavours, but the most famous ones are perhaps plum, pear, apple and apricot. Okay, first of all, I’m not really into the genre of opera, but if there’s one place in the world where you should go to find out if you like it or not, it’s Budapest for sure. The opera house in Budapest is really beautiful and it’s renowned as one of the best opera houses in the entire world. Tickets costs next to nothing compared to other cities like Paris, Milan or London, but the performance will still be top notch. While Balaton isn’t exactly located anywhere near Budapest, it’s still easy to get there by train. If you’re staying for a while, this is definitely something I recommend. Balaton is awesome and offers both party and relaxing opportunities, especially during summer. Great list, Alex! :) Next to drinking Pálinka I`d also recommend trying Unicum next time you’re here – it’s a truly unique “serum” including 40 herbs and the recipe is a well-kept secret of the Zwack-family for decades now. We always serve it as a welcome-drink whenever our friends from abroad are here for a visit. Also, I can highly recommend Budapest’s other markets apart from the Great Market Hall. While the Great Market Hall is admittedly GREAT, it’s become very overpriced and touristy in the last years and there are lots of other, smaller (and somewhat friendlier!) markets all across town (e.g. Hunyadi Square Market, Lehel Market or Fehérvári Street Market). Does anybody have any information about the Christmas markets in Budapest?